Google+: It’s the hot social network on the block. In just three weeks, Google’s competitor to Facebook and Twitter has amassed more than10 million users, and its users are sharing more than 1 billion pieces of content daily. It’s become a hotbed for early adopters, tech luminaries, marketers and businesses around the world. Google+ isn’t the easiest thing to understand, though. It has a lot of features that can confuse beginners. Even advanced users can miss a lot of the little gems and nuances that define Google+. That’s why we decided to dig into every aspect of Google+, from Hangouts to Circles, from Google+ for businesses to what’s next for Google’s social network. The result is an extensive guide on all of Google+’s key features, as well as an introduction to the service and the important things you need to know about it. We’ve included commentary, videos, photos and more in our in-depth guide. In addition, we will update this guide regularly with the newest information on Google’s Facebook competitor. Google chose the name Google+ because it wants Google+ to be “an extension of Google itself,” Gundotra explained to Mashable days before the launch. It’s designed to be an improvement to all of Google, which is why the company also decided to change the iconic Google navigation bar to include a link to a user’s Google+ profile, as well as a new icon that displays how many notifications a user has received, much like how Facebook handles notifications. This isn’t Google’s first shot at dominating the social space. It has a long history in social media, including Orkut and its biggest success in social, YouTube. However, it’s had two very big flops in social: Google Waveand Google Buzz. 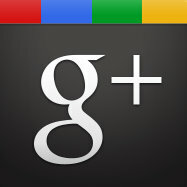 This gallery will provide you with a quick overview of what Google+ looks like. Keep reading this guide to learn more about how to use all of Google+’s features. Great, Google made a social network. Now you’re probably asking yourself: Why the heck should I use Google+? We aren’t here to pitch Google+. Instead, we asked our Google+ followers a simple question: Why should someone use Google+? While we go through every single one of Google+’s features step-by-step in this guide, it’s always smart to know the basic commands and syntax of Google+. 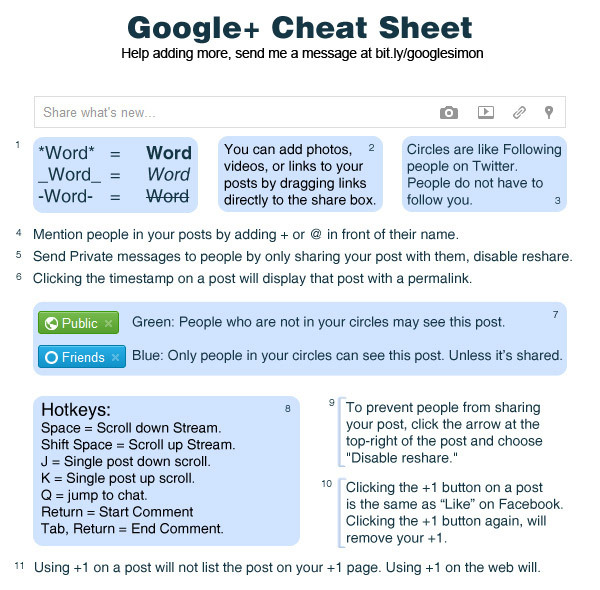 To that end, we have included a Google+ cheat sheet that explains how to mention friends in your posts (like you can already do on Facebook or Twitter), how to bold your text and more. The following videos, produced by Google, provide a quick introduction to Google+. Check these videos out, then keep reading our guide to learn more about each of Google+’s key features. While you’re on your profile page, you also have the opportunity to change some of your privacy settings. You can allow people to email you from a link on your profile, and you can set this to be public, private or somewhere between using Google+ Circles (explained below). So why should you create circles in the first place? The answer is simple: You want to share different things with different friends. You may want to share a risqué photo with your close friends, but share a link about your company’s newest hire with just your business network. Google+ Circles gives you the ability to have this kind of control over both what you share and what content pops up in your stream. The left-hand navigation includes a Stream option where you can filter your Google+ Stream. If you want to see posts only from your business network, you just have to click on that circle under the stream. 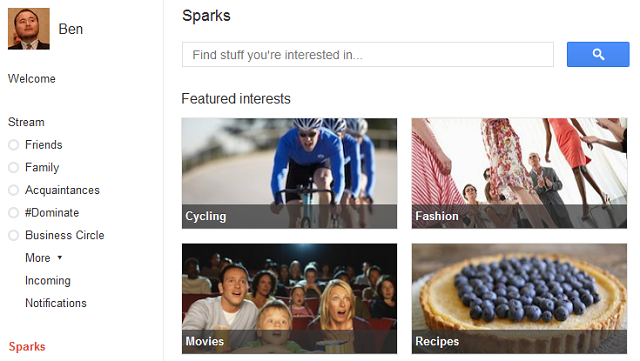 Under the Stream option is a link to Google+ Sparks, which we explain later in this guide. There’s also an option to activate Google Chat for your Google+ account. 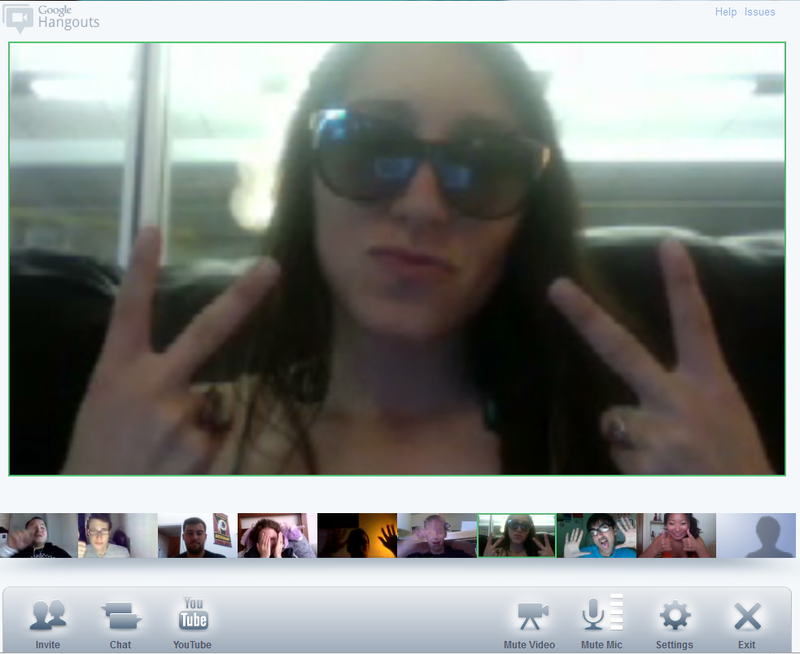 In our opinion, Google+ Hangouts may be the social network’s killer feature. It’s a novel twist on the traditional group video chat, and it’s definitely received a positive reaction from the Google+ community. If you’ve never used Google Talk before, you will have to install a small piece of software before Hangouts works properly. Google SVP of Social Vic Gundotra compares Hangouts to friends sitting on the porch vs. knocking on a neighbor’s door. Few people are willing to knock on a neighbor’s door just to start a conversation, but if you see friends sitting on a porch and you walk by, it’s almost rude not to drop in and say hi. Gundotra thinks one-on-one video chats are much like knocking on a neighbor’s door, while a Google+ Hangout is like friends sitting on a porch. The slideshow is simple to navigate — click on a picture to bring it up, or click and drag your mouse from side to side to scroll through other pictures. In this slideshow view, you can also tag yourself or a friend in a photo, or check out photo details such as what type of camera was used to capture the photo. One more thing: Any photos you upload via the Stream will be added to an album called “Photos from posts,” available in the “Your albums” section of the Photos app. The last time Google treated privacy as a secondary feature, it got burned with a lawsuit. This time around, Google isn’t playing games with Google+ and privacy. The “Profile and privacy” tab is where you can really dig deep into your privacy settings. From here, you can edit the visibility of every part of your profile, manage your circles, change your network visibility, adjust your photo settings, or visit the Google Privacy Center. 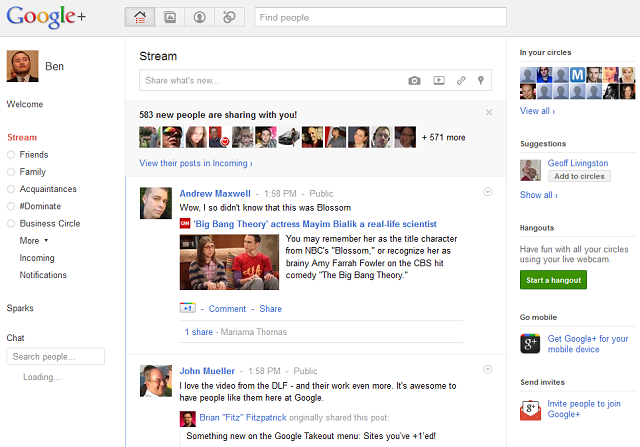 Google+ also has a feature where you can view your profile as your mom or your friend would see it. This is a useful feature that lets you know for sure if the content you want private is indeed private. Finally, Google is walking the walk when it comes to data liberation. As Google data liberation lead Brian Fitzpatrick explained to Mashable, the company believes that if it’s to be trusted with more of your social data, it needs to provide users an option for taking that data out hassle-free. That’s why you can download your Google+ data, including stream posts, profile data and photos. The export feature is powered by Google Takeout. Google owns one of the world’s most popular mobile operating systems (Android), so it’s no surprise that Google+ prominently features its mobile apps. And as of July 28, Google+ has mobile apps for the iPhone and Android. 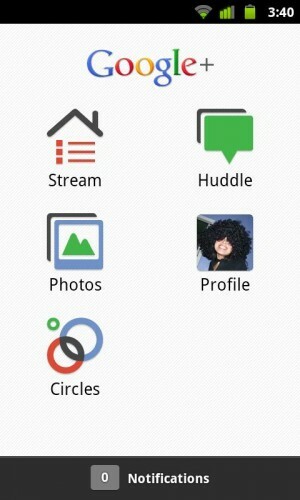 Two features stand out about the Google+ mobile apps. The first is a feature called “Huddle,” which is essentially a group texting feature not unlike GroupMe or Beluga. It allows you to put a group of your friends together so you can send and receive group texts. The second unique feature of Google+’s mobile apps is something called “Instant Upload.” The Instant Upload feature automatically takes the pictures you take and syncs them with your desktop. This makes it dead-simple for you to share photos you upload when you get home. These photos are uploaded into a private album you can manage and share at your convenience. As mentioned before, Google+ also has a mobile interface that allows you to post updates, check what your circles are posting, comment and +1 your friends’ posts, and update your location. We expect Google to add more to Google+’s mobile apps as it improves the service. But hold on! Before you start making your company’s Google+ account, there are a few things you should know. The most important thing is this: Google doesn’t want businesses creating Google+ profiles yet. The search giant announced on July 6 that it would be creating a platform for businesses, but that it would take some time to build. The result is that Google has decided not to allow businesses and brands on Google+ for now. It even received some backlash for suspending some business accounts and keeping others open. Thanks to high demand though, the search giant has accelerated the development of Google+ for businesses and will begin beta testing in the next few weeks. Until then, brands should avoid creating a presence on Google+. 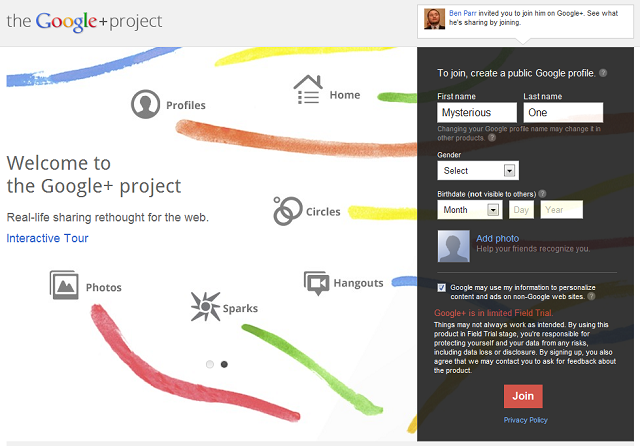 Google refers to Google+ as a project because it believes it’s far from finished. The product is only a few weeks old and it has a lot of bugs that still need to be fixed. The second and more interesting product is Google+ Games, a product rumored to be in development ever since Google invested $100+ million in Zynga, the creators of FarmVille and other social games. Google+’s code has multiple references to Google+ Games, so we expect it’s only a matter of time until Empires & Alliesmakes its Google debut. Most of all, expect Google’s social network to evolve as it tries to meet user requests and sets its sights on Facebook, Twitter and the rest of the social media universe. 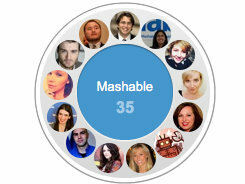 To help you get started on your Google+ journey, we’ve included a full list of Mashable staff members that are actively using Google+. In addition, you can follow Mashable News for the latest social media, technology and digital news from around the world. We look forward to engaging with you!